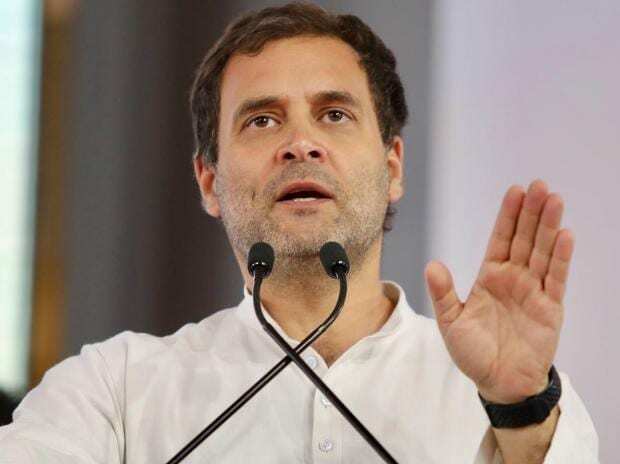 Congress President Rahul Gandhi Friday said his party, if voted to power, will scrap the Niti Aayog and replace it with a "lean" Planning Commission. Gandhi said the Niti Aayog, set up by Prime Minister Narendra Modi after he assumed power in 2014, served no purpose other than making marketing presentations for the PM and "fudging data". "If voted to power, we will scrap the NITI Aayog," he said in a tweet. "We will replace it with a lean Planning Commission whose members will be renowned economists and experts with less than 100 staff," he said. The Planning Commission, set up in 1950 under the Congress government, was replaced by the Niti Aayog by the Modi dispensation. The Congress is seeking to revert to the original structure of the government think-tank.